This is what we think about when someone says its fall or autumn. 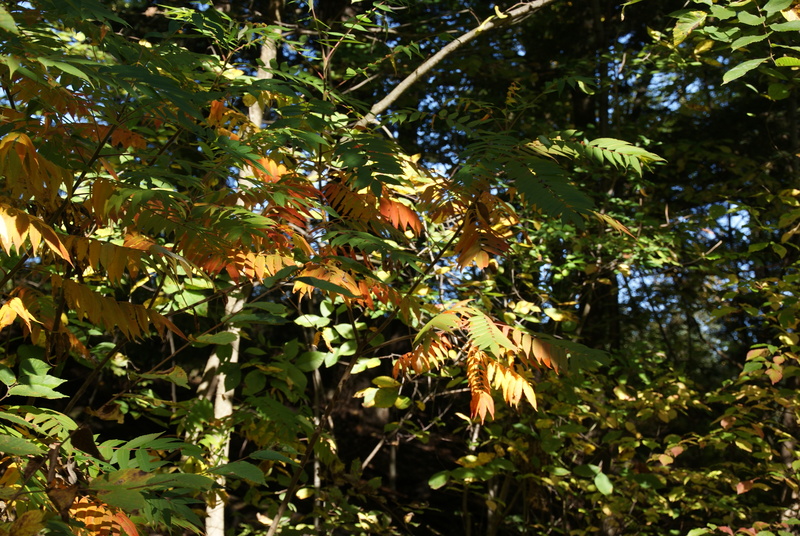 BUT if you are an animal in our wild garden you probably don’t care what color the leaves are. What you care about is that you are hungry! Fall is a time for animals to begin storing food both by eating lots of food and hiding it in a den or burying it in the ground for later. It is also the time for plants to develop seeds. Perfect! Food for the animals. 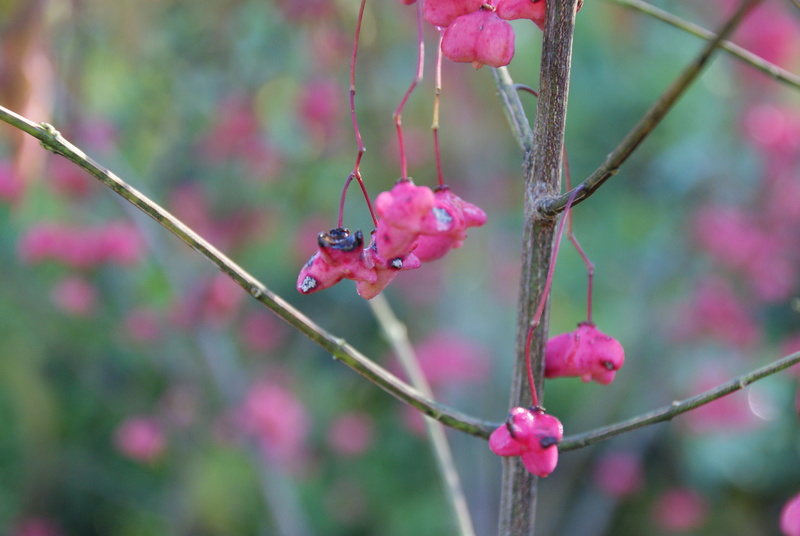 These seeds are also a way for our trees, flowers and bushes to reproduce. Each plant wants to be sure there will be new plants just like them next spring so they create lots and lots of seeds. 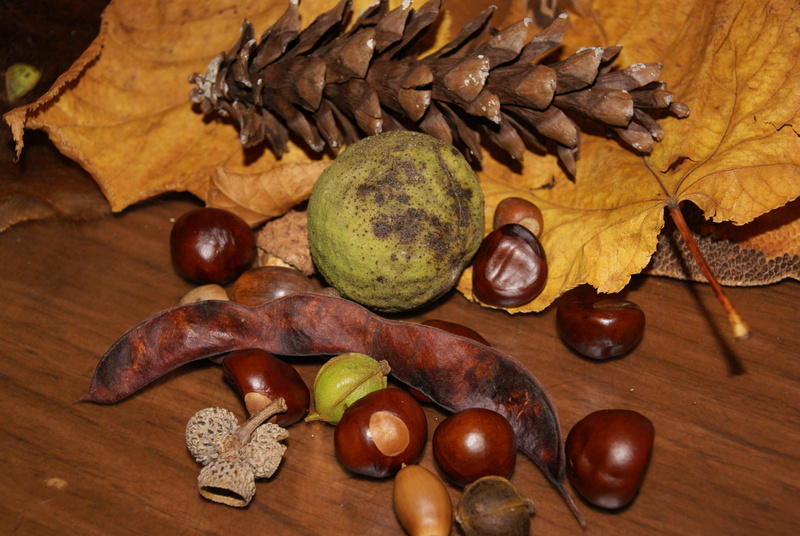 Some of these seeds will be eaten by our animal friends or by us. Do you like walnuts? They are seeds. Nuts ARE seeds. A fruit is the part of a plant that contains the seeds. So the nutshell is the fruit, and the nut is the seed. Some of those seeds will fall on the ground and rot. Some will land in places where they cannot grow and a few of the seeds will land in a perfect spot, rest in the ground all winter and grow into new plants next spring. When walking through Eloise Butler Wildflower Garden I found lots of seeds but I needed to use my close observation. Seeds hide very easily so I needed to walk slowly and look high and low. 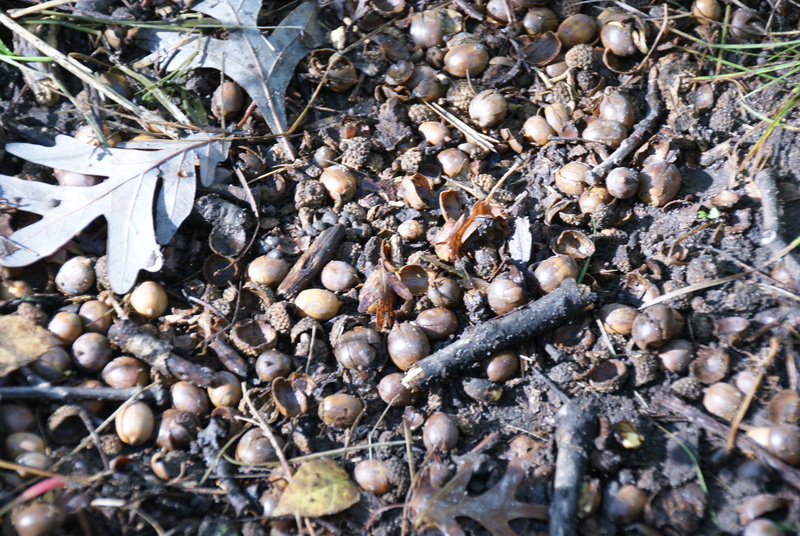 There were seeds on the ground – like the acorns. There were plenty of those and they were easy to find. They are the seeds from the oak trees. As I kept walking and looked closer I found some larger shiny seeds call buckeyes. 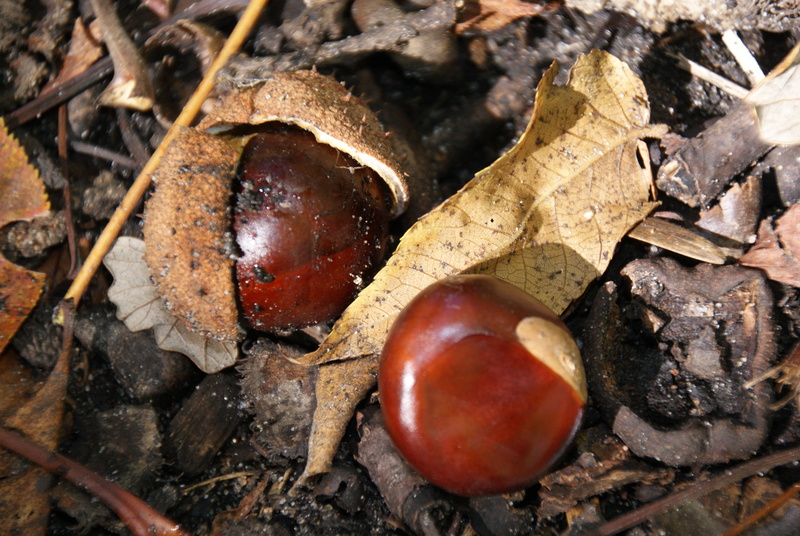 They are the seeds of a Buckeye tree. They have an outer shell to protect them and are harder to find if that shell has not been broken. In the open prairie there were plenty of flowers that were developing seeds as well. 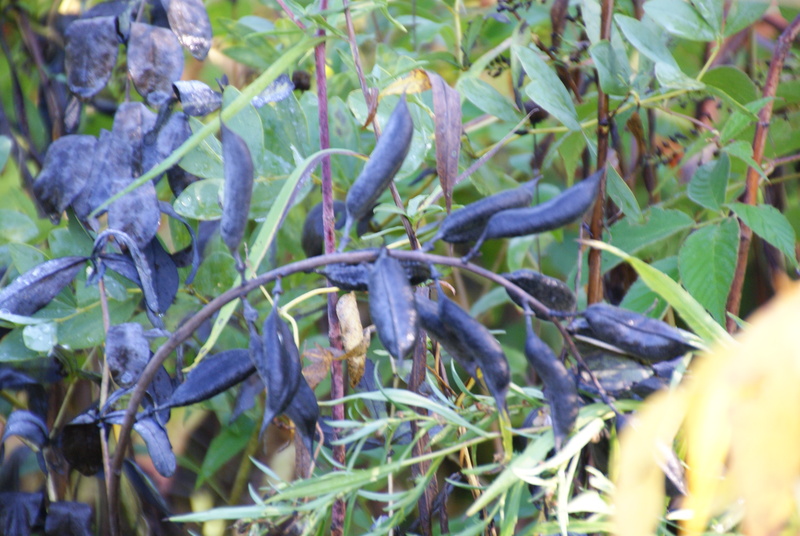 The False Indigo (a dark purple color) has big seed pods on it that rattle in the wind. 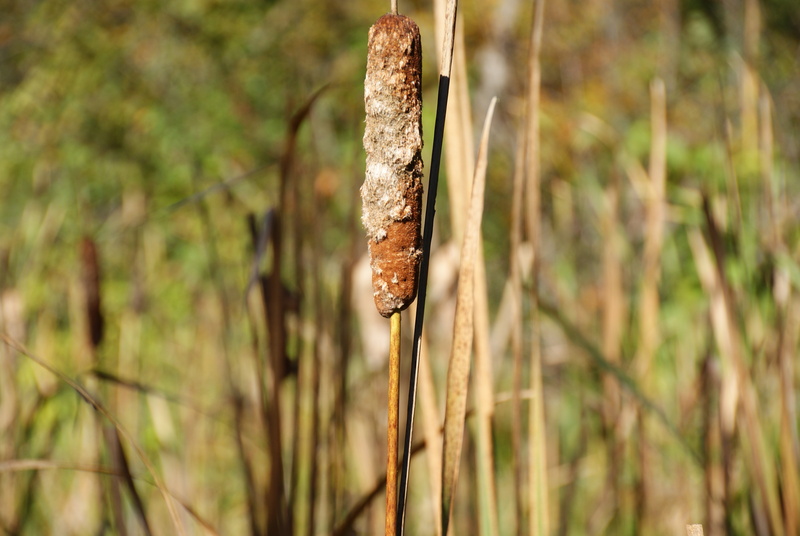 There was the bright pink seeds on a bush and the Cattails seeds ( fluffy brown tall seeds) were flying in the wind as well down in the marsh. 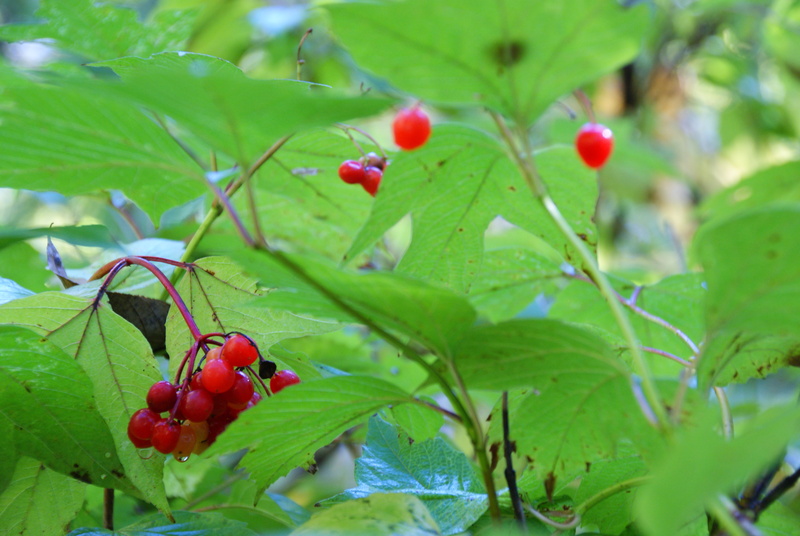 There were also bright red berries on the High Bush Cranberry. All seeds waiting to be eaten or to settle into the ground to grow next spring. These are just a few of the seeds that are in and around the garden. Now take your science notebook/journal and head out into your garden, woods or neighborhood to look for seeds. Remember if you want to gather seeds you need to ask first. In parks and protected garden we always leave the garden as we found it. So no collecting in these protected areas. You might ask your neighbors if you can collect seeds from their plants. Seeds are fun to draw in your notebook and label them. You might want to read more about specific seeds to see how you might grow them in your home garden. This entry was posted in observation, science notebook. Bookmark the permalink.